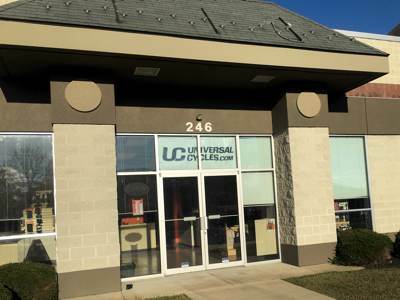 Universal Cycles -- Visit our Newest Retail Store in Lancaster, Pennsylvania! Visit our Newest Retail Store in Lancaster, Pennsylvania! Our newest retail location is located in Lancaster Pennsylvania. The 3800 square foot space has about 400 square feet of retail space showing off some of the amazing cycling accessories and product that we feel you would like to see, another 400 square feet that we have deemed the "Fish Bowl" is stocked with the quick grab parts - chains, brake pads, tubes, cables and so on. The 3000 square foot warehouse is packed with all of the rest of the products that we offer. The store is constantly evolving and you should stop in to see what is new. When checking out, select In-store Pick Up as your shipping method. If you place your order online it will be available for pick up in 60 minutes during business hours. This is the best way to order to ensure that the items you want will still be available when you arrive to pick them up. 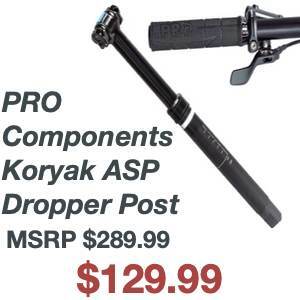 You will receive an email confirming your product is available for pick up. Your order will be available for pick up within 2 business days. You will receive an email confirming the day your product is available for pick up. We can also ship your order to you. We suggest you choose UPS Ground shipping for the Portland area because it offers a low cost, one day transit time. This is often easier than fighting Portland traffic.